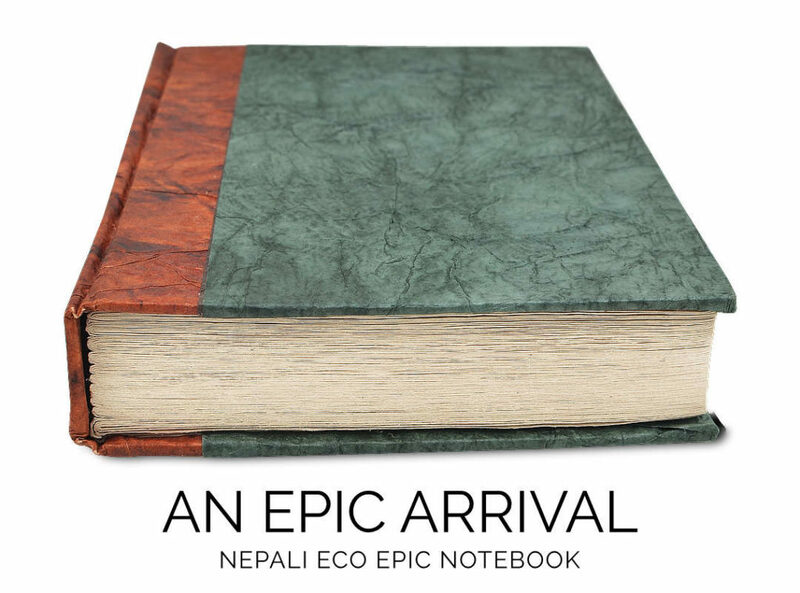 We’d like to share with you our new extra-thick Epic Pages now included in the Nepali Eco Epic. These pages are great for projects requiring extra or thicker ink. The pages are clean-cut which make them easier to turn and flip through compared to the traditional deckle-edged finish in some of our other journals. The Pages are made twice as thick as our standard lokta pages. This not only makes the Epic journals great for a wider variety of projects and note-taking, but it gives a satisfaction when held with the thicker profile, it feels like you’re carrying an important tome, and now you can make it one. Lokta paper is an honored tradition that spans back more than 1,000 years in Nepal. The paper is made from the fibrous inner bark of the Lokta bush. The bushes grow back quickly after being cut, making Lokta paper a friendly alternative to highly-processed tree-based papers. Lokt bush cutting are pulled into strands and then cooked in large vats of heated water. The resulting mash is then spread by hand across large boxed screens and set to dry in the Himalayan sun. The new Epic journals come in four different color options. The Epic versions have the paper that is extra thick, while the standard eco contains the standard thickness. 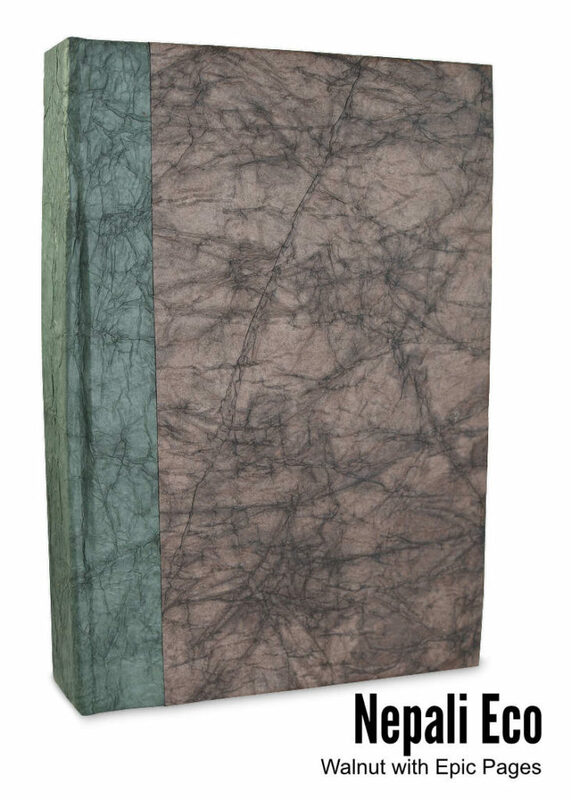 The Eco clean-cut notebooks measure 6×9 inches. View the Nepali Eco Standard and Epic Handmade Notebooks here.